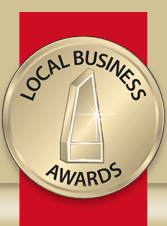 Voting is open in the annual Local Business Awards. If you’ve enjoyed your time at Garfish over 2012 and 2013, we’d very much like you to vote in these awards. There’s also something in it for you! Everyone who votes is automatically entered into the prize draw. It only takes a few minutes, more information and the voting is now available online via this form.